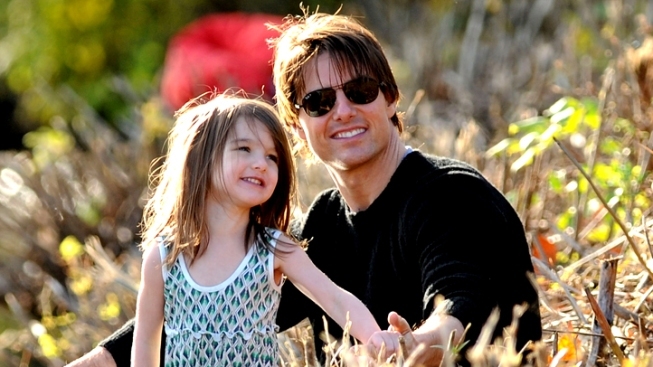 Tom Cruise has agreed that his daughter Suri should live primarily with her mother Katie Holmes, a source told People magazine of the Hollywood power couple's confidential divorce settlement. Katie Holmes will get primary custody of Suri under the terms of her divorce settlement with Tom Cruise, People magazine reported Tuesday. Sources told People that the one-time couple agreed that their 6-year-old daughter should live with her mother but that Cruise will get generous visitation rights. But Holmes' lawyer warned that much of the public speculation and reporting on the settlement was inaccurate and reiterated that the settlement would stay strictly confidential, according to People. Lawyers for Cruise, 50, and Holmes, 33, announced their settlement Monday, less than two weeks after Holmes' lawyer announced the actress had filed for divorce after nearly six years of marriage. The quick resolution came partly because they didn't want to drag out the grueling divorce process, a source told People. Cruise has returned to work on the film "Oblivion," flying from Los Angeles to a small ariport near Mammoth Lakes, Calif., according to People. Hollywood's highest-paid actor and Holmes have pleaded for privacy as the pair navigates a high-profile split that has dominated tabloids, gossip sites and entertainment news shows. "We want to keep matters affecting our family private and express our respect for each other's commitment to each of our respective beliefs and support each other's roles as parents," they said in a joint statement. Cruise and Holmes married in November 2006, five years after Cruise had split from his previous wife, actress Nicole Kidman.